US RETAIL 2017 : 3 technos digitales qui vont faire bouger les lignes… Bientôt dans vos magasins ? 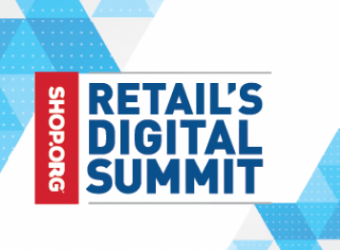 Three companies specializing in those areas came to Retail’s Digital Summit this week with hopes of being crowned Shop.org’s Digital Commerce Startup of the Year. Executives fromimageSurge, Netra and RangeMe pitched a panel of retail industry leaders to explain why their company will be the most disruptive in retail over the next five years. Watch as each of the CEOs make their case to take home the grand prize, and find out which startup won the third round of the competition. Si vous n’arrivez pas à lire la vidéo, cliquez ici ou ici.